Put potatoes in a large pot and cover with water. Add salt. Bring to a boil. 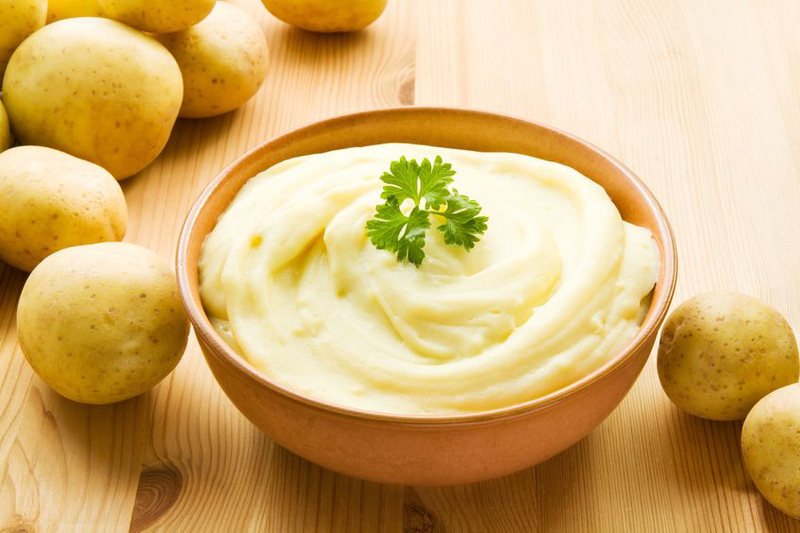 Reduce heat to medium-low heat and simmer potatoes until tender, about 15-20 minutes. Drain and transfer to a large bowl. Using an electric mixer, beat the Butter Olive Oil and cream cheese into the potatoes and continue to beat until the cream cheese is nearly melted. Add the milk and sour cream and beat until the mixture is really smooth. Season with salt and pepper, to taste.